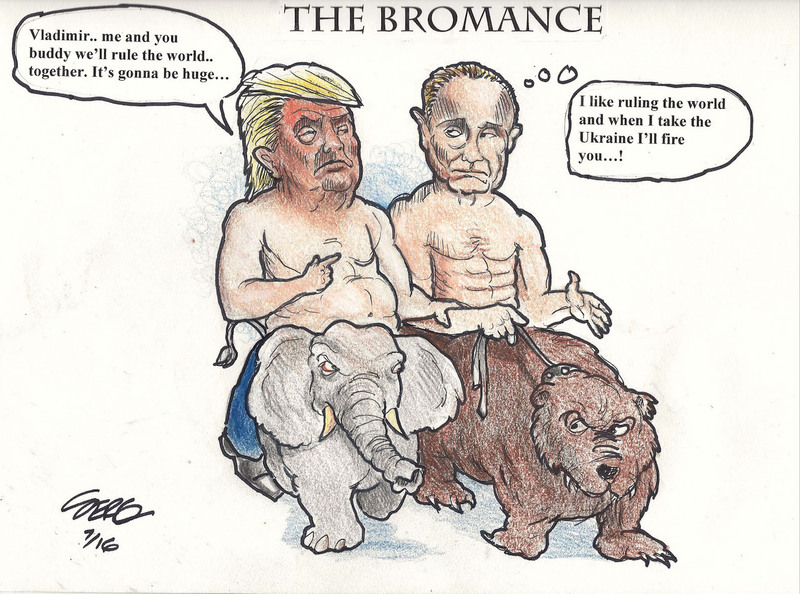 Looks like the bromance between Putin and Chump has hit a rocky stretch - but that doesn't mean they're breaking up just yet. Remember. Their courtship got Dump elected. You'll know when the honeymoon is really over after the nukes are launched. Both thin-skinned leaders are busy fighting over Russia's puppet state Syria. Ivanka Trump got her daddy to totally reverse his Middle Eastern policy last week and he launched 59 Tomahawk missiles at a Syrian airbase. In response, Russia has been squalling like a half-boiled cat that the U.S. broke international rules. Not to be left out, North Korea's supreme leader Kim Jong-un, is so worked up with Trump's decision to send an "armada" to confront him, he's flat out declared he's ready for a nuke fest. 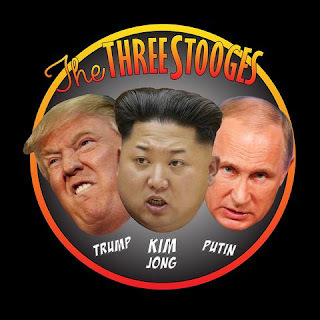 To the world's dismay these three stooges, Jong-un, Putin, and Trump, have brought us to the brink of a nuclear holocaust. No one knows what Trump will do next (not even him). He's the most thin-skinned of this trio of idiots. 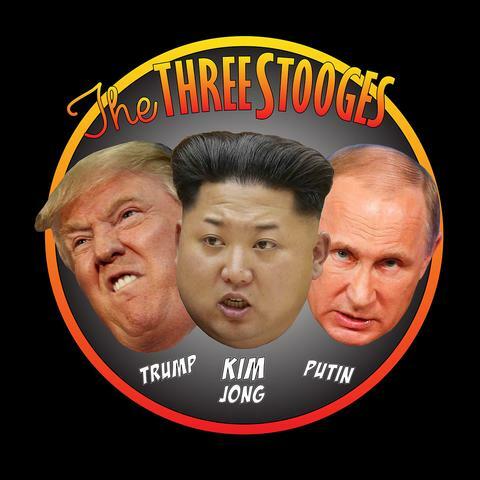 Although I must say Jong-un is a close second. Putin is pissed at local memes popping up suggesting he's a gay clown, so he made a law that bans people from depicting him as one. 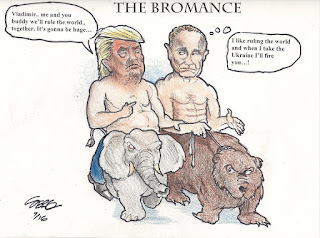 With Hump's sudden belligerent attitude toward him, Putin is in a constant state of being pissed off now. That will only last so long before he cracks. What really surprises me is that China's leader, Xi Jinping, appears to be the only adult among these world powers. His government is trying to cool Donny Little Hands down. One of the biggest fears of anti-Trump Americans during the presidential election was seeing Don The Con's stubby finger push the nuke button. Stump's supporters chose to believe in fake news from Russian hackers, despite all the evidence that showed he was a corrupt businessman, a conspiracy clown who follows InfoWars and Breitbart, a world class liar, and a racist. The specter of a North Korean missiles hitting the United States' West Coast has appeared; even though our military experts claim North Korea has a couple of years to go before that's a possibility.